Summer is here and it’s getting hot! 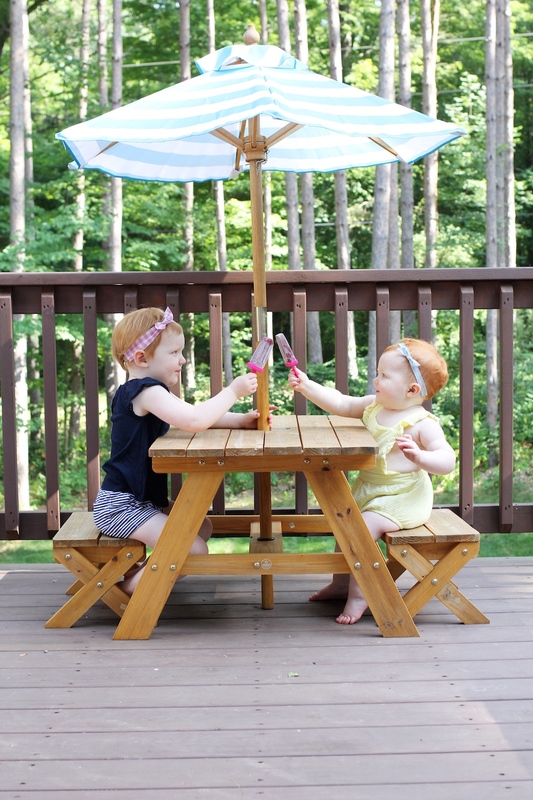 Which means we spend a lot of time outside playing in the mornings and then finding ways too cool off in the afternoon. 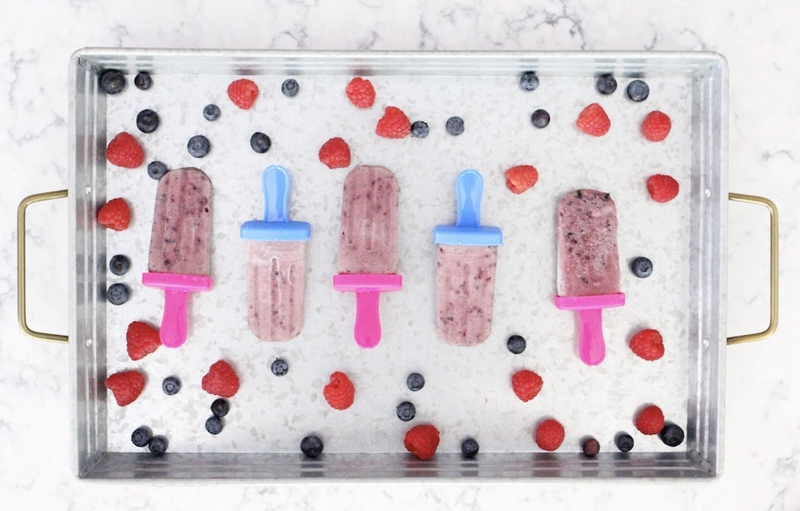 Our go-to for the summer is always always a popsicle! 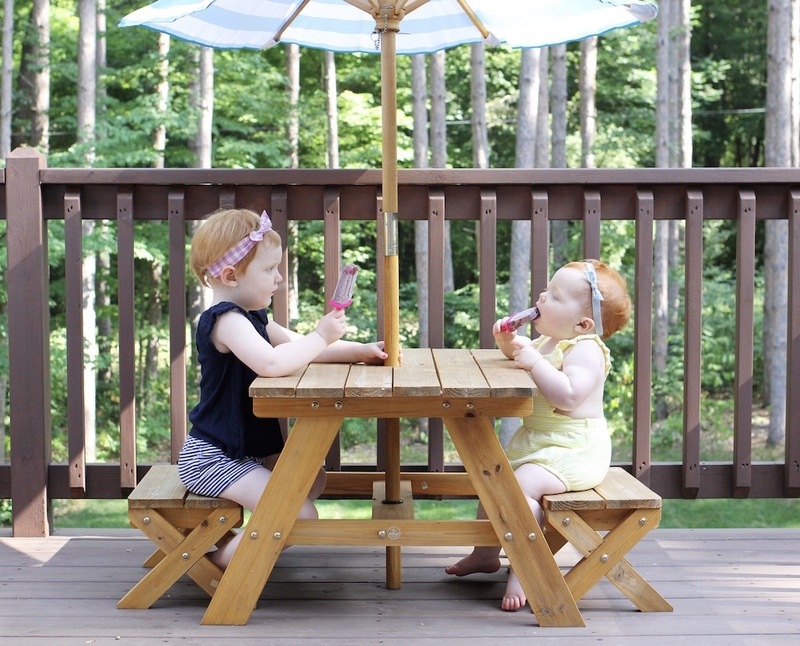 Belle calls them “pop pops” and it is the cutest thing ever. 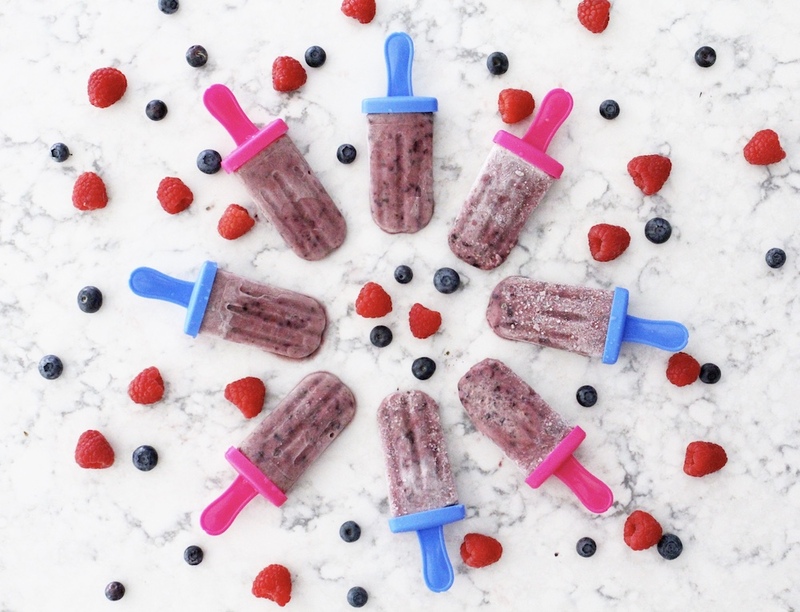 She’s always asking for a “pop pop” so I wanted to find a way to make our favorite summer-time snack a little more healthy. 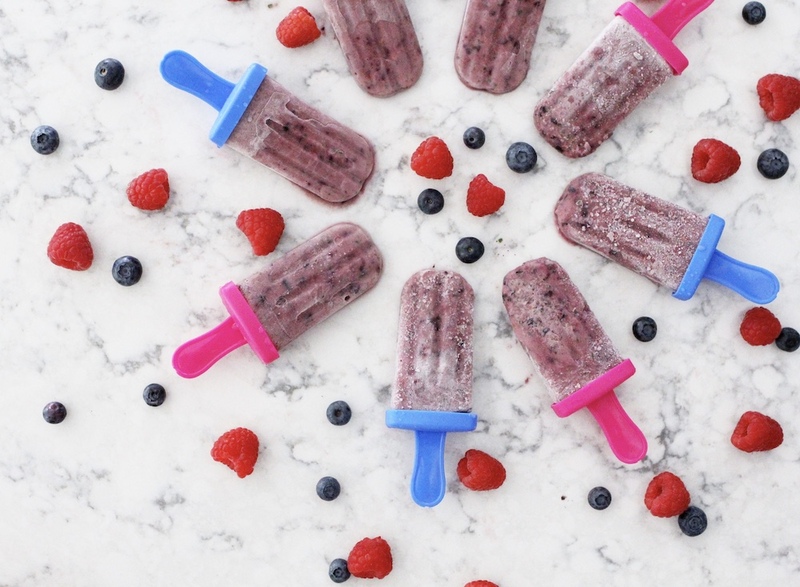 So today I’m sharing how to make your own dairy-free blueberry raspberry smoothie popsicles! 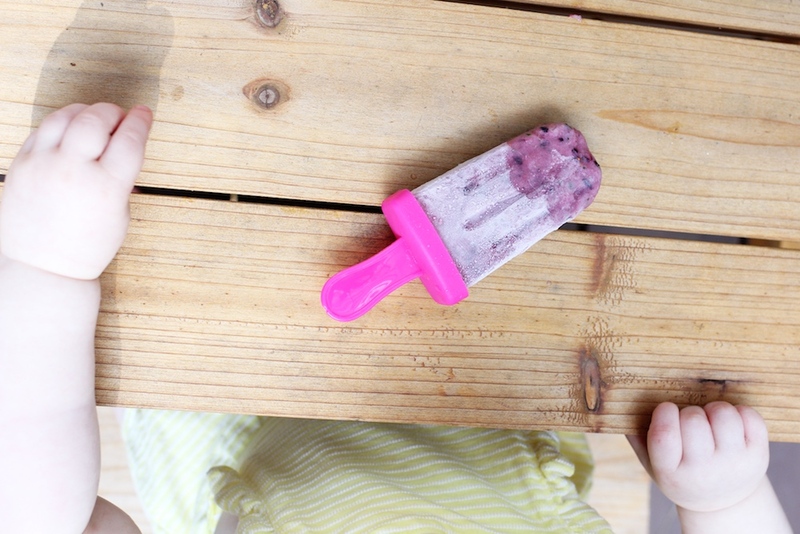 A healthy summer snack that the whole family loves! 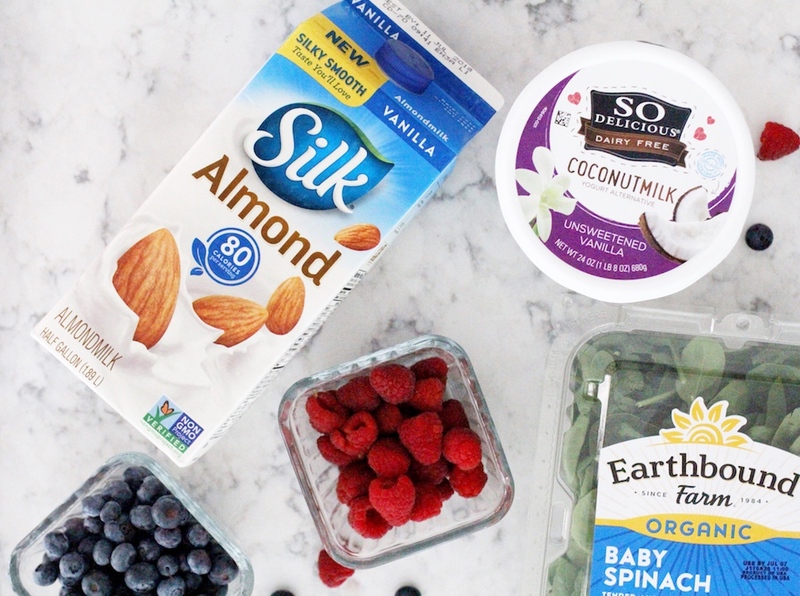 We are by no means a dairy-free family, but I have been looking for more plant-based options to incorporate in to our diets. During the summer months we eat a ton of fruits, but getting my kids to eat veggies is another story. 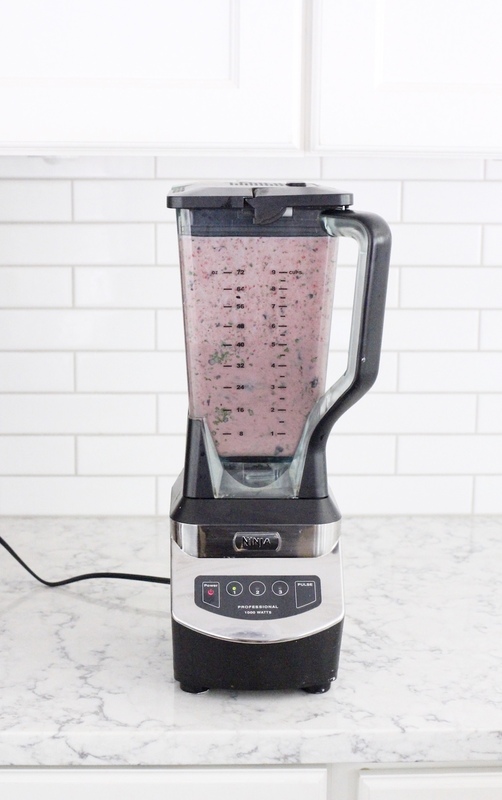 Long-time readers know that I have one picky eater (Hudson) and two great eaters (Sadie and Belle)……to combat Hudson’s pickiness, I have been making him a green smoothie every morning since he was a toddler. I toss everything in their smoothies and all three kids gobble them up. 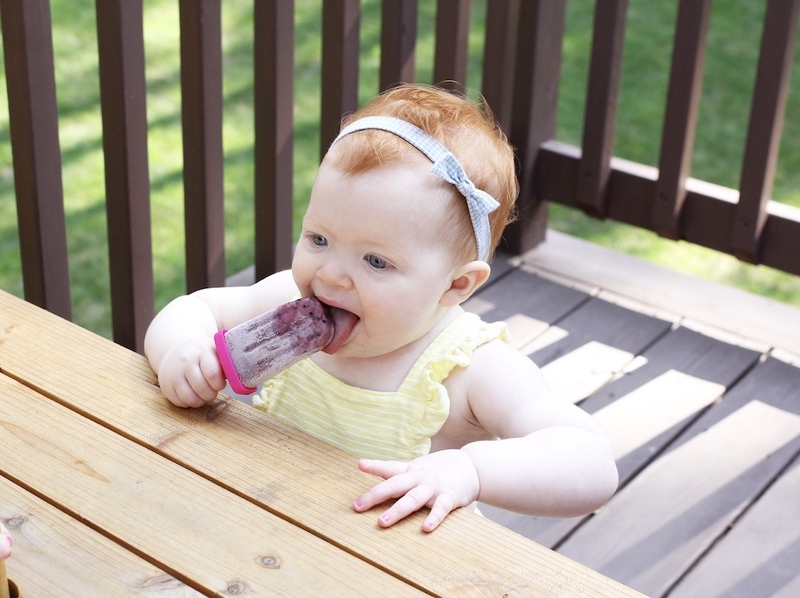 So I thought, why not try the same thing with popsicles? And guess what? They turned out delicious (and healthy) and my kids loved them. 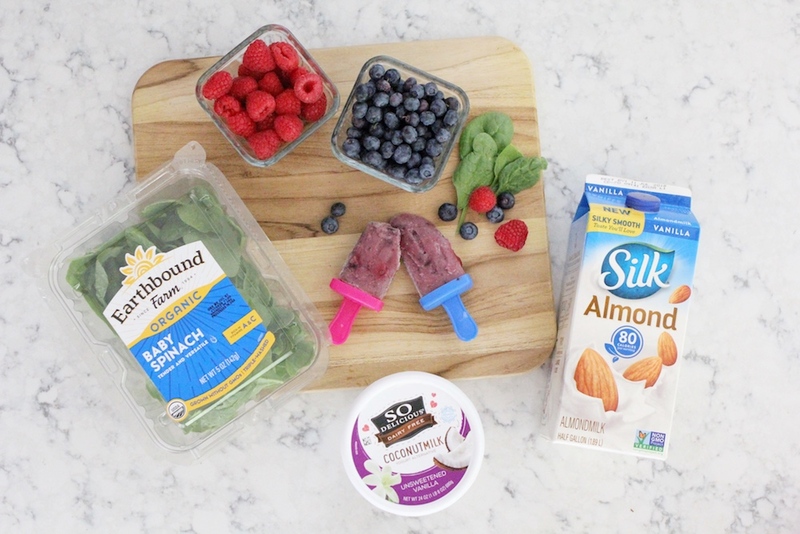 With some fresh fruit, Silk Almondmilk, So Delicious Dairy Free, and Earthbound Farm Organic baby spinach I whipped up these popsicles in no time…and my kids actually enjoyed them! Major mom win. It was easy to be inspired by such fresh and healthy ingredients and the knowledge that I was doing something healthy for my family. 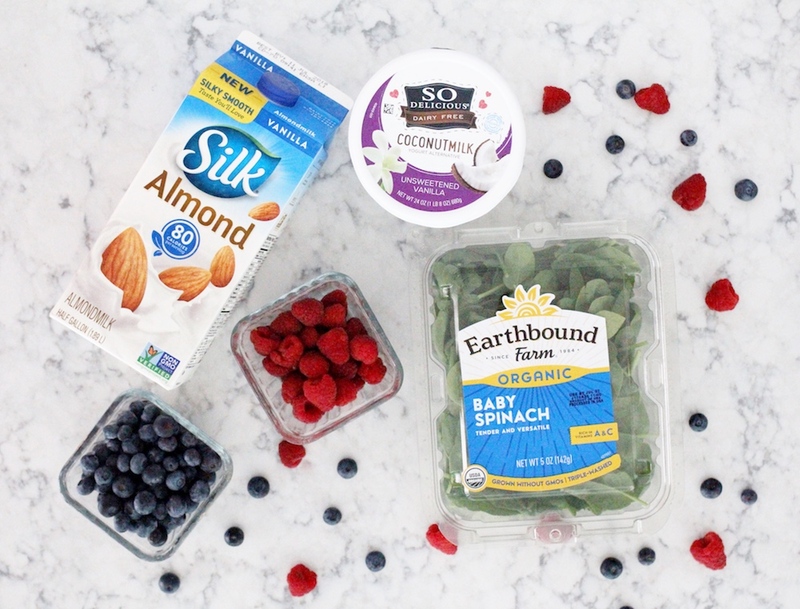 Healthy and a little bit sneaky! 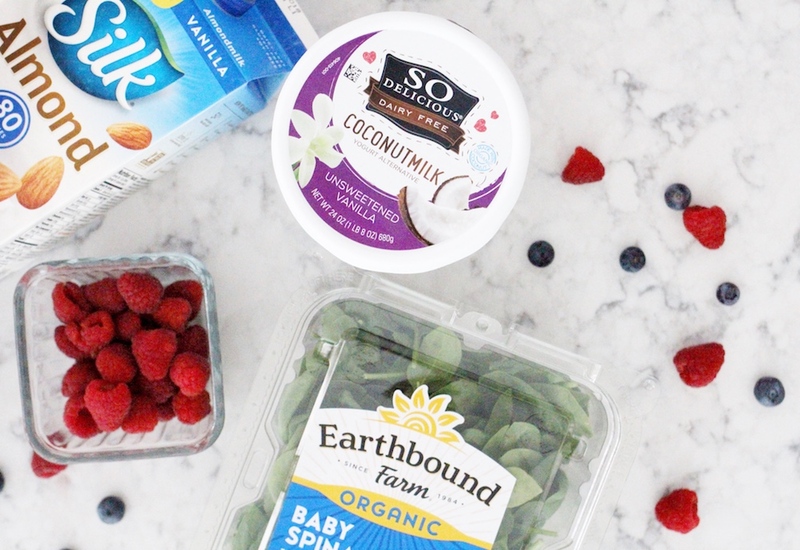 Simply blend up all of your ingredients. 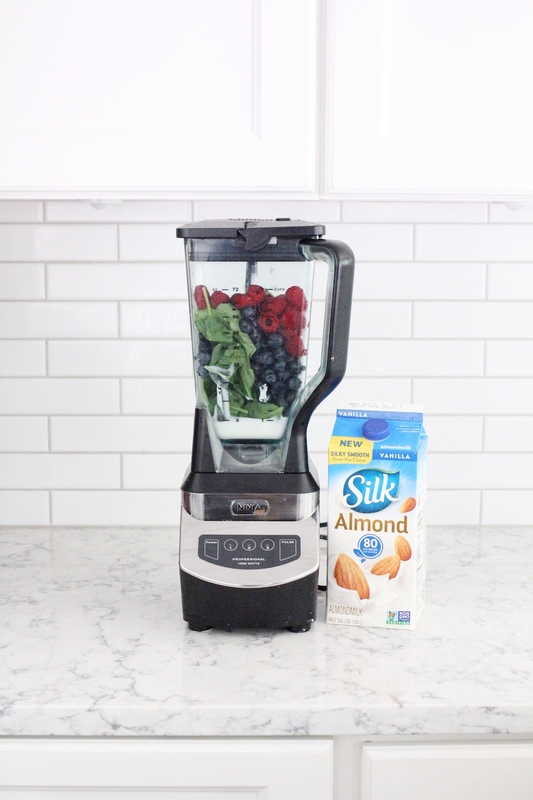 Add Silk Almondmilk to taste….and to thin out mixture. 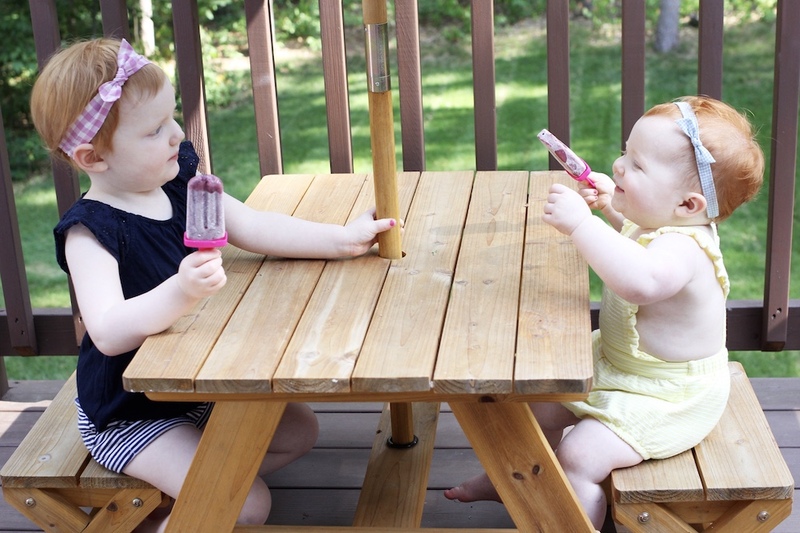 And yes, I put spinach in the popsicles! My kids are used to having a green smoothie every morning, so seeing a bit of green does not alarm them. Plus, the blueberries and raspberries really help disguise the green color. 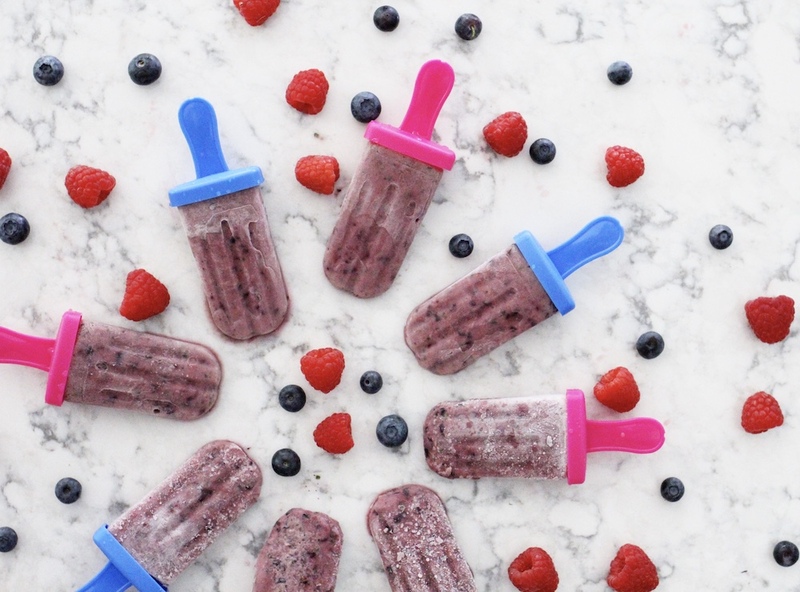 Just toss in more fruit until the color is something your kids will eat. Everything I used for this recipe can be found at your local Meijer! I love making fun treats for my family using fresh ingredients. While I was at Meijer I also picked up these Vega Protein Snack Bars for me to have as an afternoon pick-me-up along with eating one of the kid’s popsicles. They are really good! 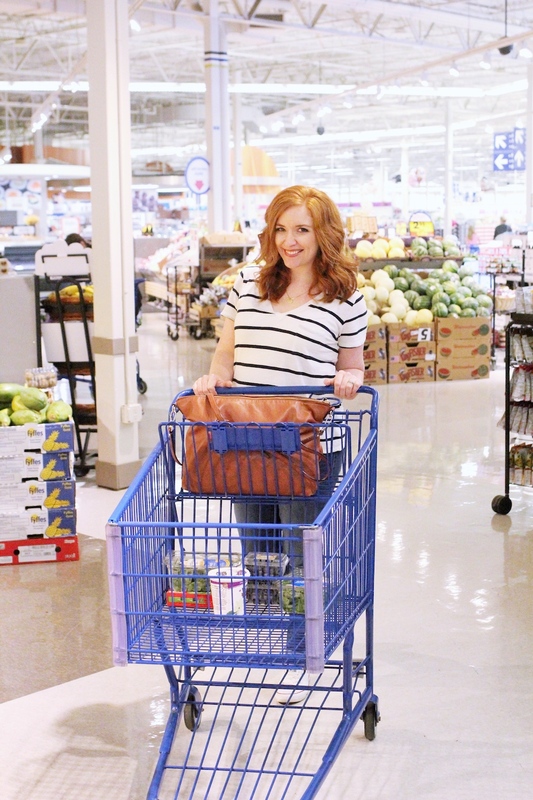 Right now thru July 15th when you buy 10 participating products at Meijer you can save save $3! 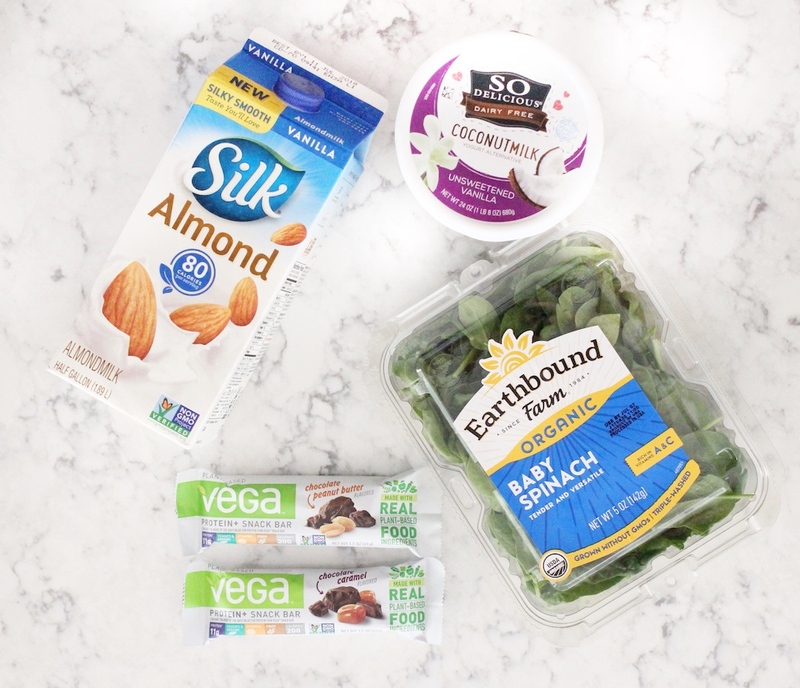 And from 7/15-8/11 you can also save over $17 on featured Silk, So Delicious Dairy Free, and Vega products with mPerks. Be sure to follow me on instagram (@girlintheredshoes) to catch my live updates from the Urban Roots Plant Parts Party event I’ll be attending today at the Grand Rapids Meijer! This is a sponsored conversation written by me on behalf of Danone. The opinions and text are all mine. « Goldfish Swim School FUN! 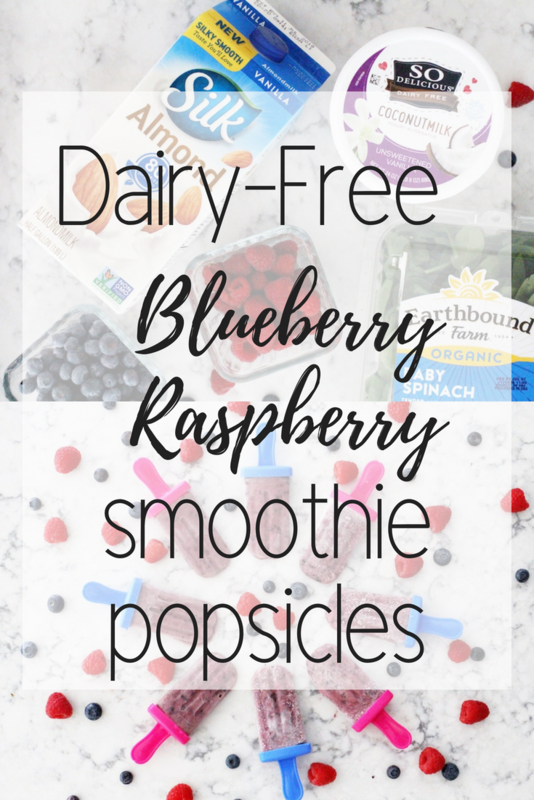 Great ide to make something like a smoothie and freeze it!